Welcome and Come on in, Mr. Dilbren said. 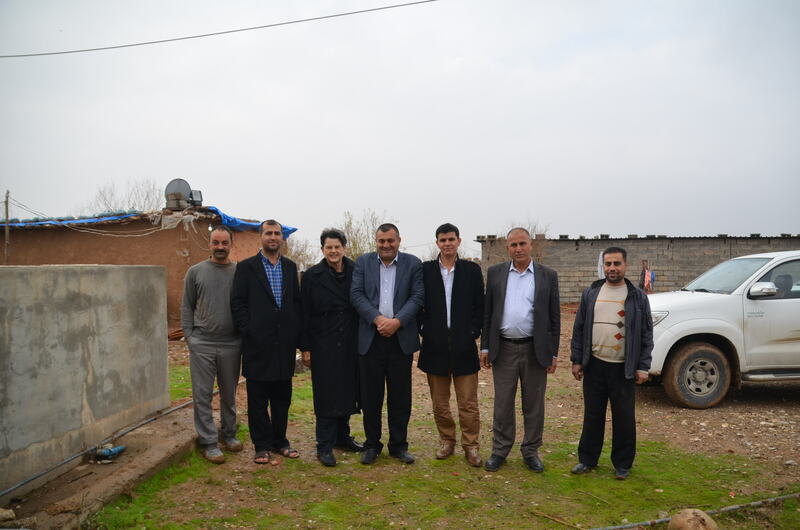 It was the invitation to visit the 3 families in the 2-room rammed-earth house made of mud, manure, lime and straw that was our priceless experience in Kurdistan Iraq near Erbil. 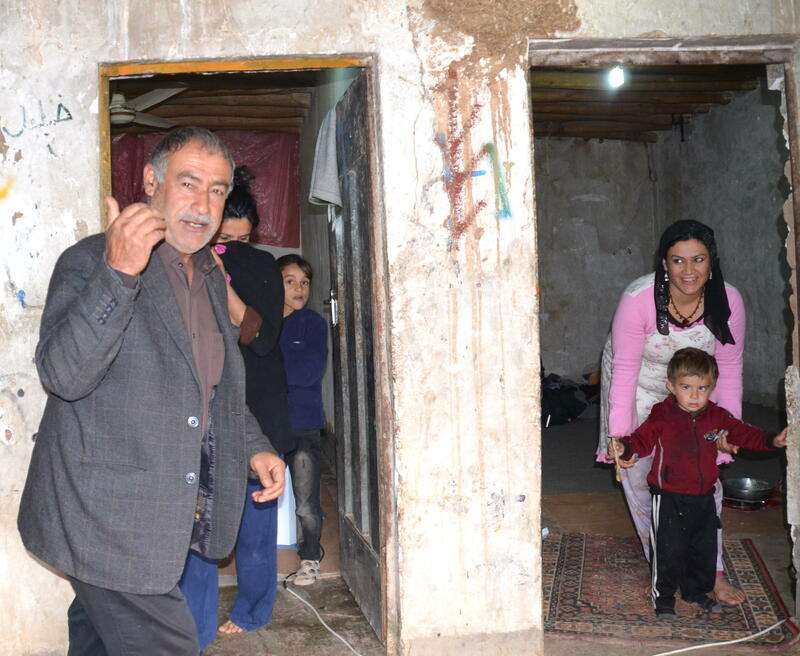 Welcoming us into their temporary home, were the Dilbren family, consisting of father-mother, daughter with 2 children and granddaughter with one child. 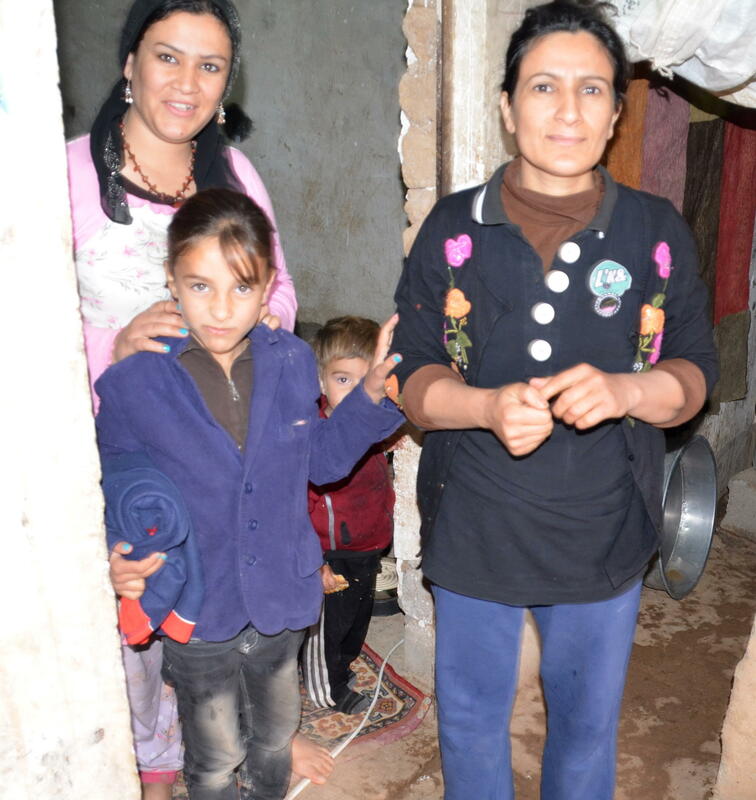 The father said they had been living in the mud house for 4 months since they escaped the crisis in Syria. Sitting up in her metal bed, was their Mother-Grandmother, who was sick with breast cancer and “who has received no medical help,” her husband explained. 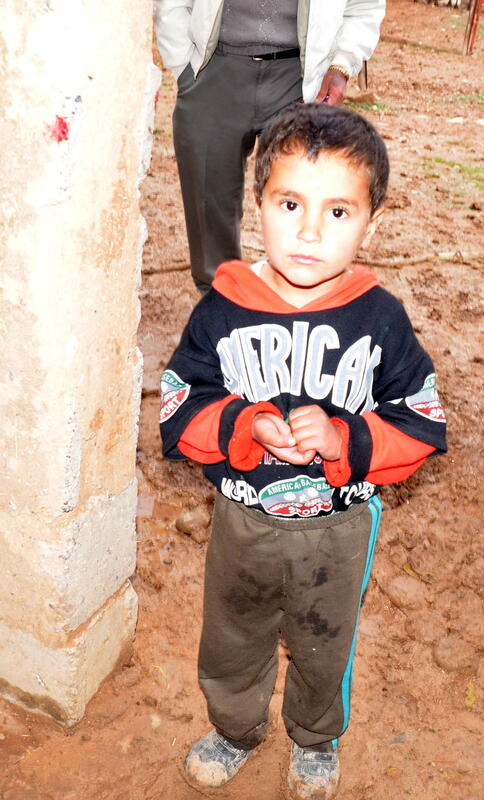 But he had just learned from our guide, Leo, who worked for the United Nations in Iraq, that Doctors without Borders could help her. She was all wrapped up from the cold and was keeping warm with a small electric space heater and carpets on the floor for more warmth. 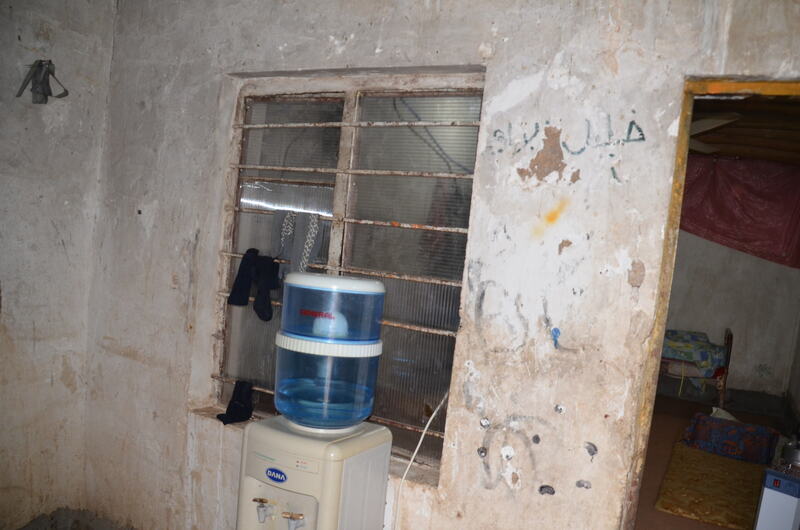 Plastic sheets were used to cover cold drafts from the outside. 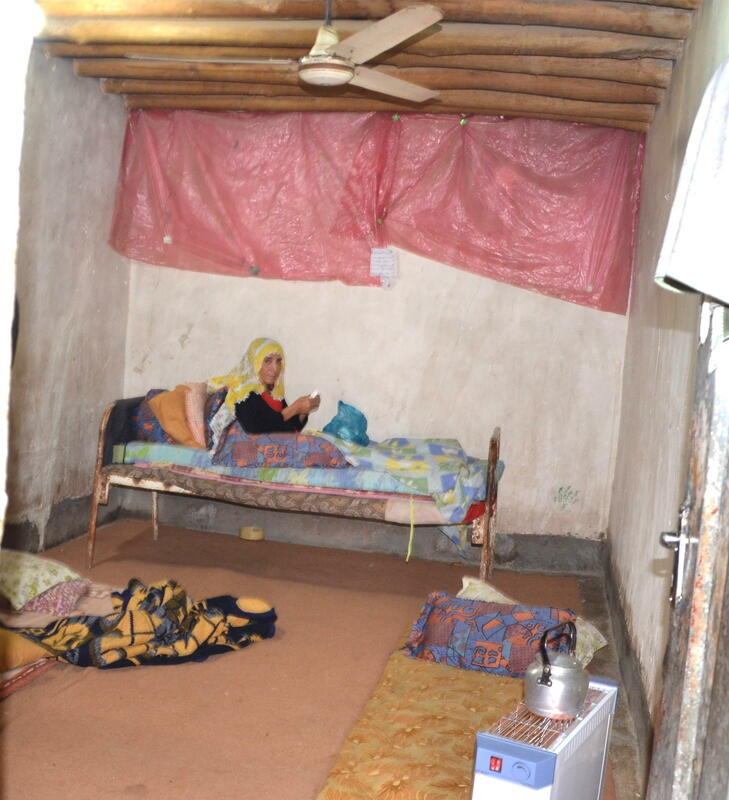 In the other room that housed a refrigerator and Iranian rugs on the mud floor, were the daughter, her husband and their 2 children. 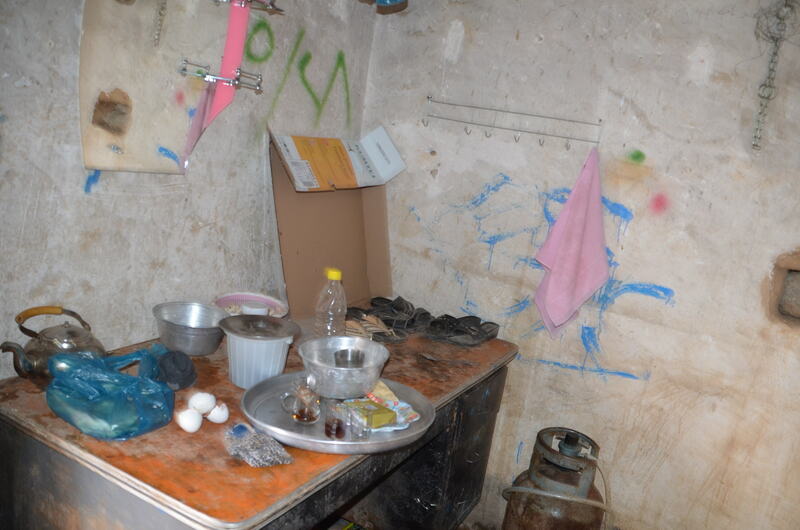 Plus, the granddaughter and her child also lived in the same room but her husband was living in the Qushtpa Syrian Refugee Camp. They had clean water to drink. The men helped keep the animals, crops and fish on the farm. On the enclosed mud porch was the cooking area. The porch kitchen had large pieces of plastic and a tarpaulin hung to cut off the cold wind coming through the open entrance without a door. One of our members gave the children and adults Hershey Kisses chocolate and they ate them quickly. It probably was the first time they had ever tasted that chocolate. 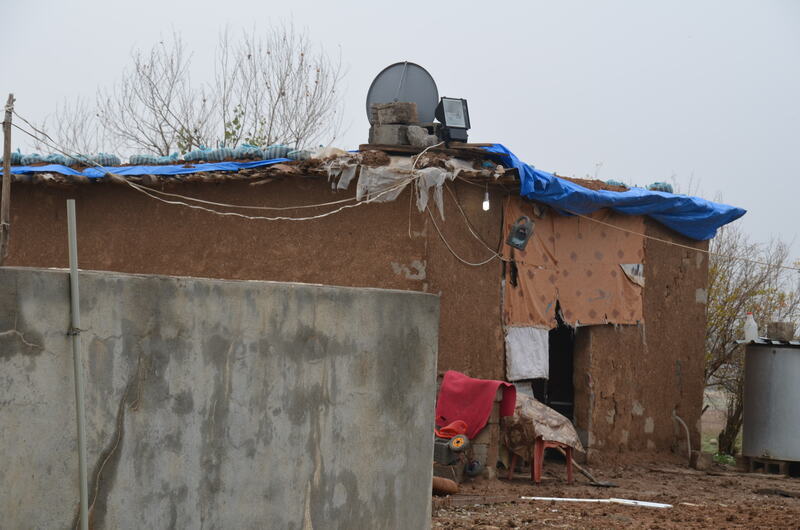 They had no toys or furniture except the grandmother’s bed and the refrigerator that we could see but they seemed to be making it as well as could be expected living in a mud house. We had to have our photo made with the Dilbren family before we said goodbye and hoped they would return soon to their homeland, and we gave hugs and well wishes for a healthy, safe and prosperous life. 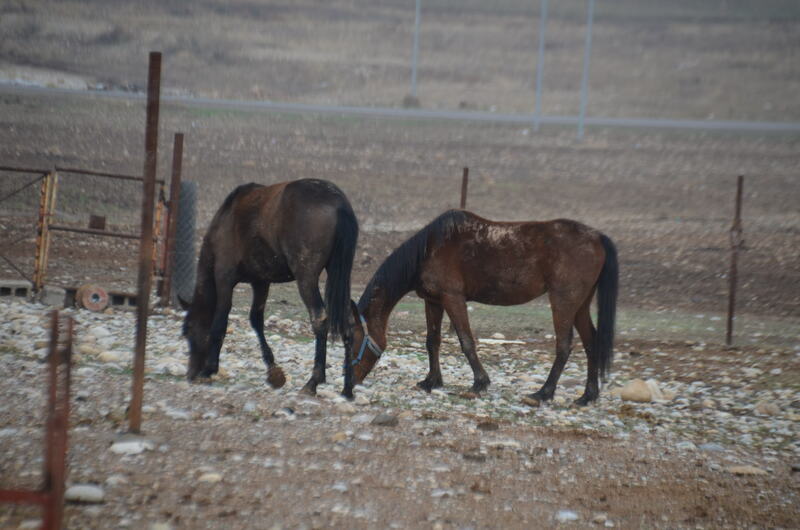 It was while driving down a country road in Kurdistan, Iraq, that we noticed 2 horses in a pen. “Want to visit the horses,” our guide Leo asked and our answer was definitely “Yes.” So we turned down the muddy road to the horses located in the little village of Gajenkan. Four men dressed in business suits were checking their horses and welcomed us to visit. 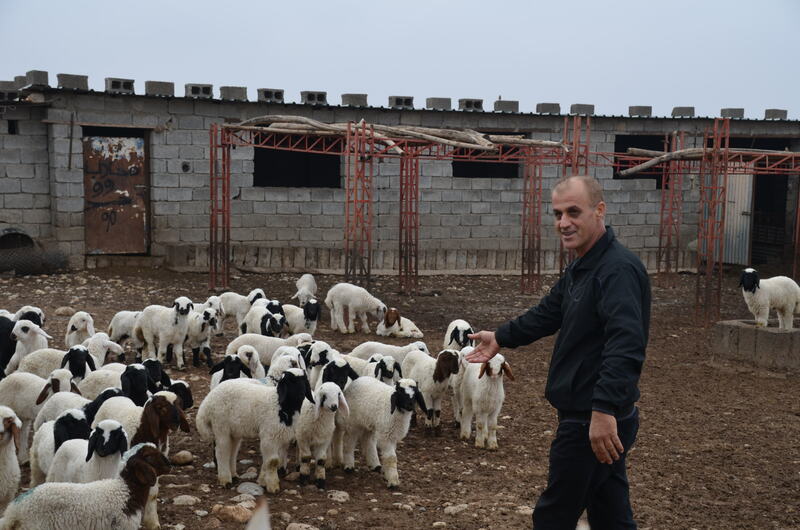 “The horses helped around the farm plowing crops and carrying items and equipment, one of the men explained “and plowed the barley crop growing in the field.” And the Syrian men also helped keep up the animals, fish and crops for the landowners. 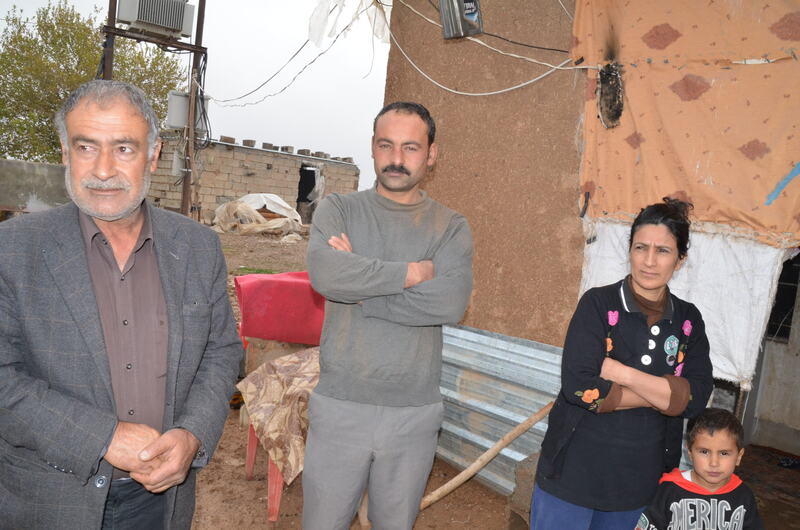 But it was the special invitation visit with the Syrian Kurds that we treasured the most and seeing that they were making it under the most difficult conditions of living in a mud house in a foreign land as a refugee from their Syrian home. Carolyn, What can we do to help this family?